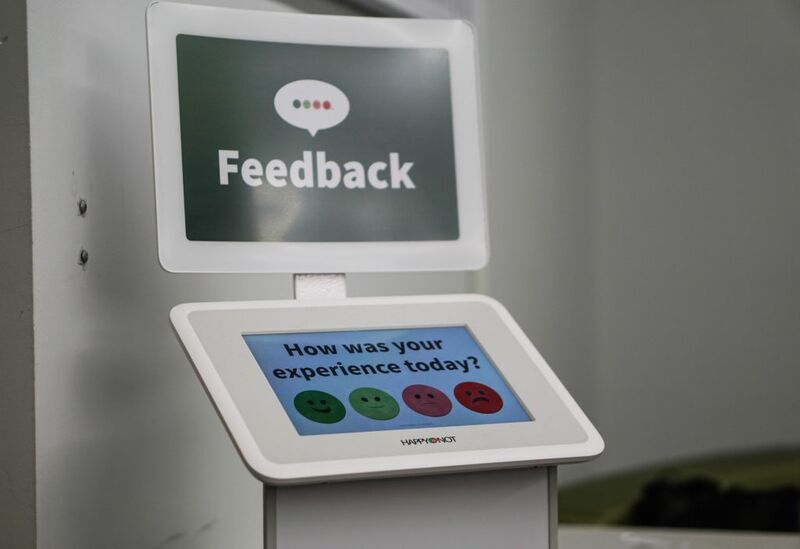 One of several feedback pads around the campus. Several students experienced unusually slow internet speeds on campus throughout the first two weeks of school. Complaints have been rolling in via Twitter and students are not happy with the WiFi speeds experienced on campus, taking minutes to load a single webpage and even longer for downloads. We tested the internet speeds in five different locations, using the widely used Ookla’s Speedtest tool to get the average speed across the campus and the average internet speed was 50.24 Mbps. Being a college where thousands of devices connected to the internet at the same time all competing for the same speeds which can naturally result in slowdowns. The ITS services are currently aware of the issue. “The first and second week we have a lot of WiFi access from students and teachers,” said Alaa Shantaf, ITS client representative. In efforts by ITS services to help you with your internet speeds on campus, the help desk offers free LAN cables for a direct access to the internet to boost your speeds, as well as recommends to try and download large applications after 5 p.m. during slower traffic hours. Students can visit the ITS service desk located at A143D if they require technical support connecting to the internet. Internet speeds slow as semester progresses Reviewed by Tyrell James on October 2, 2018 .